HomeWho’s next to join the club? Who’s next to join the club? 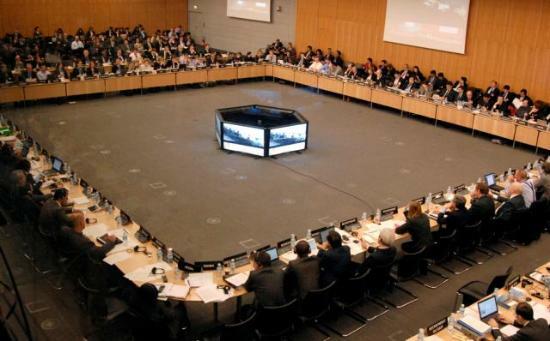 The FATF established a process for considering the case for/whether to undertake a limited expansion of its membership with the aim of ensuring it has an optimal membership in the fight against money laundering and terrorist financing. Now as outcomes go, it’s not the most definite – a process for considering a possible case for perhaps doing something. But many observers thought that, once India and China had joined, the FATF was effectively closed. There is an existing policy on membership, which (this being the FATF) has ‘Fundamental’ and ‘Technical and other’ criteria. The candidate jurisdiction should be strategically important (measured in economic and AML/CFT terms), should enhance the geographical coverage of the FATF and should be committed to, and doing well in, implementing the FATF Recommendations. So why has the FATF decided to look at its membership again – or more accurately, establish a process for doing so, although it seems unlikely that given the existing policy it would not then use the process. Of course, we are not allowed to know – the FATF is famously secretive when it comes to releasing details of its deliberations, so the one sentence outcome above is all we are told. Can we infer that some members want some other folk to join? If so, who might the new candidates be? Well, let’s look at the criteria. The FATF was established by the G7 in 1989, but since the global financial crisis the real economic and regulatory powerhouse is the G20. This Group has a relationship with the FATF, calling on it to do various things and receiving FATF progress reports, even though the FATF is actually responsible to the Ministers of its members. Taking membership as a proxy for strategic importance, there are two countries in the G20 that are not FATF members – Indonesia and Saudi Arabia (although Saudi Arabia is a member of the Gulf Cooperation Council (GCC), itself an FATF full member). Both countries would also satisfy the geographic criteria, the FATF being light on members from the Middle East (Qatar reportedly applied to join in 2009), South-East Asia and Africa. If one were to look for a strategically important jurisdiction in Africa, it would be difficult to overlook Nigeria, of course. There is one problem with this line of reasoning, though. Looking at the technical criteria, Indonesia and Nigeria are on the FATF ‘dark grey’ list of countries with strategic deficiencies. But then so is Turkey, which narrowly avoided suspension of its FATF membership by passing a terrorist finance law the week before the plenary. On balance, though, maybe Saudi Arabia, a key US ally, which receives good ratings on compliance with the Recommendations, should be our favourite? In short we don’t know, but we can speculate. Perhaps the answer may be for another economic union, from one of the under-represented areas to join, in the same way as the European Union (represented by the Commission) and GCC. One thing is for sure, as this photo of a plenary session borrowed from the FATF website shows – they are going to need a bigger room if too many new members join the club! I like an MER, but I couldn’t manage a whole one.